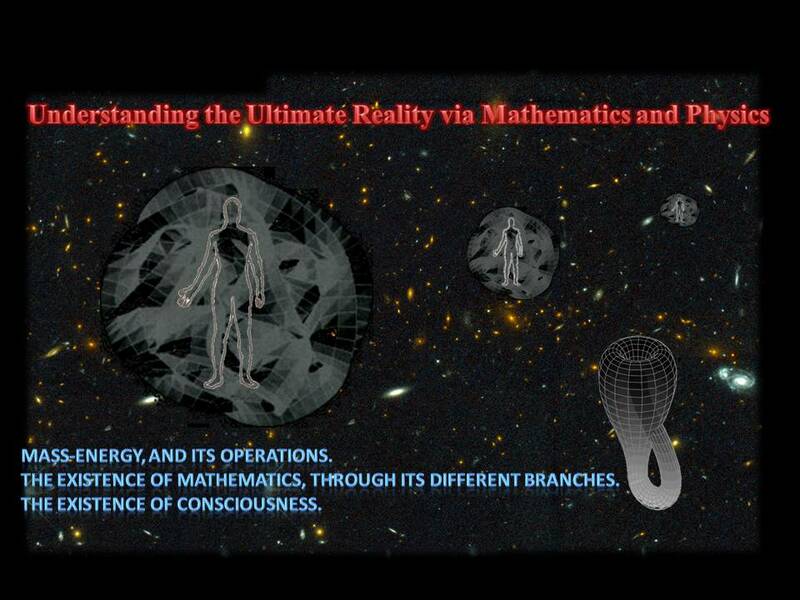 - How Mathematics and Physics direct us toward The Ultimate Reality, when we take into account the role of our senses, and the positioning of consciousness. - How empirical observations and methodic concepts illustrate an all-encompassing flow of space-time. - How the "perceptivity" is a part of the space-time continuum. - How the physical forces shield the ultimate span, residing alongside the physicality. - How the world we perceive can be seen to be a gigantic dream state. - How different scientific outputs and concepts fit justly in a scheme that subsumes our perceptivities. - How parallel universes, that account quantum and cosmic details, and consciousness, flow. - Why are there parallel universes. - How the metaphysical non-duality stands true for the physical entities and their forces as well. - What the significance of the ultimate state is in the absence of the entities of the universe.